After I had spent a few days in Bruges I decided to spend a short amount of time in Brussels. Due to wanting to spend longer in Bruges I opted to spend a day in Brussels whilst staying for the night at the Pullman Hotel. Unfortunately Brussels was a city that I did not fall in love with, it was somewhere that I didn’t feel safe. Due to only being in the city for a short time I decided to try and make the most of my time there. This is the central square of Brussels where you are able to find guildhalls as well as the town hall and the museum of the city. Grand Place is considered as one of the most important tourist landmarks and is also a UNESCO World Heritage Site. Brussels town hall is a gothic building located on Grand Place. 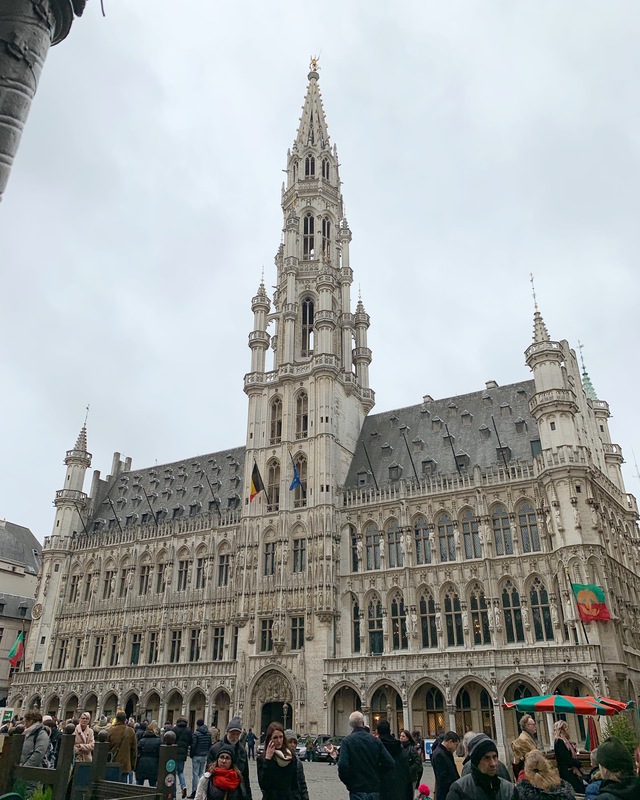 The museum of the city of Brussels can also be found on Grand Place as it is dedicated to the history of Brussels as you are able to see various paintings, sculptures, engravings, engravings, photos and models. A small bronze sculpture which is hard to miss as there are more than likely going to be large crowds surrounding the area. This sculpture is designs to imitate a naked little boy urinating into a fountain’s basin. The current statue that you are able to see on the streets of Brussels is not the original as the original is kept in the museum of the city of Brussels. When visiting Brussels and I saw Manneken Pis it was in costume which is something that happens several times a week. Despite the fact that I didn’t feel safe or enjoy the city much it is a city that I would possibly try to visit again but maybe in a few years time. My visit to Brussels was in December so I would try to visit at a different time of year. Have you been to Brussels before, if so what were your thoughts on the city?